ICH Blog: Looking for NL step mothers to take part in a visual project on step motherhood. Looking for NL step mothers to take part in a visual project on step motherhood. Freelance photographer and documentarian Vaida Nairn is working on a project to challenge and break down the traditional folktale motif of the wicked stepmother, and she is looking for step-mothers who might be interested in taking part in a photography project which will travel to Scotland for Mothers Day. Through images and testimonies the exhibition explores motherhood as blended family experience in the times when such families are almost as common as traditional nuclear ones. The interviewed and photographed women represent a wide range of ages, ethnicities, nationalities, and length of time they have been mothering children they are not related to biologically. 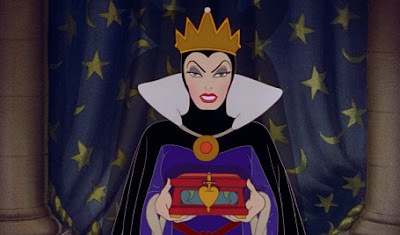 However, what the women do seem to have in common are personal joys, challenges and pressure that often come with the prevalent image of the ‘evil stepmother’ found in folklore and popular culture. Still, more importantly, the thread that connects the women the most is the universal experience of motherhood and all its joys and challenges. The attitudes are changing and countries like Australia and USA have annual National Step Family Day celebrations. Therefore it is, perhaps, a good time for us too in other countries to revisit the stories we tell about stepmothers, rethink the importance of a more constructive narrative and show due appreciation to all who join motherhood - through blood connection or not. Visual element of the exhibition: documentary photography style photograph of each stepmother participating in the project in her own home environment. Project is non commercial, so participation is voluntary. If preferred, anonymity is guaranteed. I work in a respectful, non-intrusive and fun way so that the project is rewarding to all participating parties. The project is scheduled to be exhibited at The Scottish Storytelling Centre in Edinburgh, Scotland March 20 - April 13, 2019 to coincide with the UK's Mother's Day. I am also looking for opportunities to exhibit the project in St.John's, NL in 2019 around Canadian Mother's day.